The quantity is superb, full casts and good sound effects. It is the outdated ideas, preoccupations and language that got to me and, crucially for me, this is not something that would stand up to repeat listening so am going to return it. 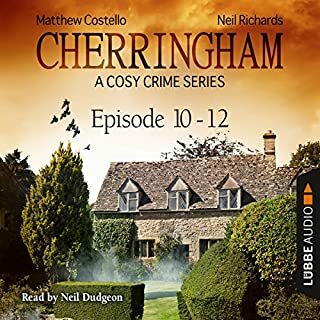 Having previously enjoyed Cherringham audio books on the understanding that the stories and characters have very little to do with real life and that Neil Dudgeon's voice is great to listen to when trying to get to sleep I bought this volume on the 40% off offer. Despite this I am returning the book as the plots are now too unrealistic even for one who occasionally watches and sometimes enjoys Midsummer Murders! The characterisation is wooden and stereotypes abound. As a friend of a couple of nuns the last straw was the story in the convent which has little resemblance to reality. I shall have to go back to Agatha Christie novels and although I will miss the comforting tones of the narrator I do like my plots to have some foothold in reality. If you like easy going, not having to think too hard plots then the previous ones are worth trying but this is not. In the dilapidated surroundings of the Savoy, a delegation from the Netherlands is gathered in a last ditch attempt to secure peace. Thomas Chaloner is horrified at the violent aggression shown to the Dutch by ordinary Londoners, but he is more worried by the dismissive attitude with which they are greeted by the King's officials. 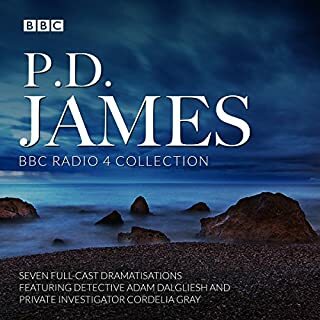 Then the body of his former brother-in-law is found in the Thames, and Chaloner discovers enigmatic clues pointing to a motivation for his murder. The Body in the Thames delivers a constant and evocative narrative full of atmospheric historical details from buildings to the importance of dress, manners and social standing to the lies and deceptions of governments. 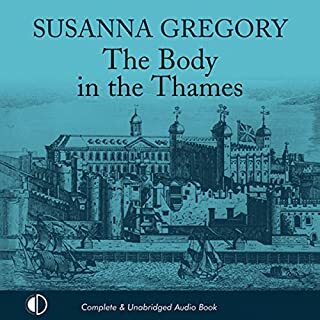 The Body in the Thames is an excellent read and listen and I gave it five stars without hesitation. Griffin excels himself this time in his range of Anglo Dutch accents, which to my untutored ear all sound plausible and in giving the the cast, of which there are many, individual voices which helps to keep track of them all. Without all the historical detail this would still be an excellent murder mystery - with it it is a delight to hear. The murder of a man on London Bridge is the first indication that the Earl of Clarendon's fears of a rebellion may be well-founded. His spy, Thomas Chaloner, suspects the assassin may be a member of a group dedicated to seeing the return of Puritanism, and at the same time he learns of a faction determined to bring back the Catholic Church. 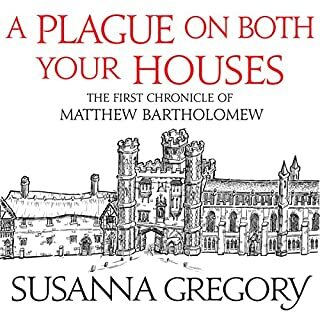 Unlike Susanna Gregory's other series staring Matthew Bartholomew, the Thomas Chaloner 's books took me a while to get into as the main character is not an easy person to like, tending to be taciturn, remote and aloof, but, after all, Chaloner is a spy not a monk and a physician as in Gregory's other series. The narration is good, with Gordon Griffin successfully managing an array of different accents and both female and male voices. The plot is solid, with good historic details and enough atmosphere for you to picture the scenes, smell the - often noxious - odours and understand that we are reading about a time that although is not that dissimilar from our own, is nevertheless different. 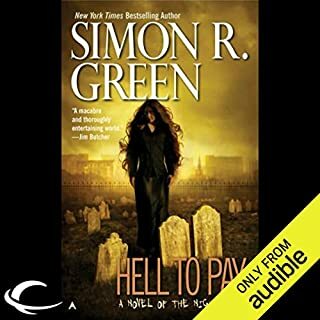 Not a five star review though as the plot is not one of the best in this long series but certainly worth a listen if you are working your way through all the books and it has stood up to repeated listens. The book is well plotted and has good characterisation - it is the narration that really lets it down with uneven and sometimes damn strange interpretations of the main characters. If you enjoy murder mysteries with nice historical touches then I would recommend reading the book rather than listening to it. What other book might you compare An Order for Death to, and why? Sorry, didn't know how to answer this one. Thorpes interpretation of some of the monks can be strange and in this particular case embarrassing. When voicing one of the adult monks, described in the book as the size of a child, Thorpe produces a high pitched whiney voice similar to a truculent two year old, making for a truly cringeworthy listen. I do like how he gives voice to Mathew Bartholomew, one of the main protagonists but remain unsure about the other, Brother Michael. In between the moments of cringing the story was interesting but I am returning the book as I can't bear to listen to the narrator anymore. For me this is one book I will stick to reading rather than listening. The stories are getting better as they go along but the narrator killed this one for me I am afraid. I can only hope that somebody has a discreet word with Thorpe and tell him to adapt his narration style otherwise I may be returning a lot of audio books back to Audible. Matthew Bartholomew jumps at the chance to travel to Ely with Brother Michael, as it will give him a unique opportunity to study in the richly stocked library of the Benedictine priory. Michael has been summoned to the city by his bishop, but it isn't until they arrive that they discover the reason - the bishop has been accused of murder. The charge seems ludicrous, but Michael takes the investigation seriously and energetically sets about his task. Almost immediately he discovers that there appears to have been a series of unexplained deaths in the area. If you could sum up A Summer of Discontent in three words, what would they be? The mystery, although slightly predictable, was nevertheless interesting, in some places amusing and the interplay between the two main characters had depth. I feel as if the author has finally got into her stride and, having already listened to the newly published books, this is the first book I can say I thoroughly enjoyed all the way through. 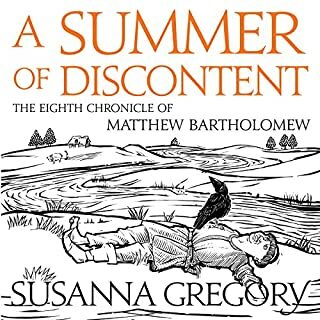 Thorpe does a pretty good job of Bartholomew but has a strange interpretation of some of the other characters, especially female voices and one of the monks who is small in the previous book. Nevertheless, in A Summer of Discontent this is one of Thorpe's better performances. Not a comedy but there were moments between Bartholomew and Michael that did make me laugh, other than that it was an interesting read/listen. If you have found the earlier books hard to get through then start with this one as both the books and the narrator get significantly better from here on in. Taylor is the name. John Taylor...My card says I'm a detective, but what I really am is an expert on finding things. It's part of the Gift I was born with as a child of the Nightside - the hidden heart of London where it's always three a.m., where inhuman creatures and otherworldly gods walk side-by-side in the endless darkness of the soul. Assignment: Find out why the local diva called the Nightingale has cut herself off from her family and friends. Weakest of the Nightside books so far. Someone who doesn't mind poor writing, weak characterisations and has a short attention span. The plot. Predictable and at some points boring. At this point Marc Vietor hasn't nailed down the voices of characters other than the main protagonist. Vietor does get better in the later novels but at this stage he was working with shallow depictions of the characters. As always with Green's books there are some interesting and redeeming qualities, just not enough in this book to make me keep it. 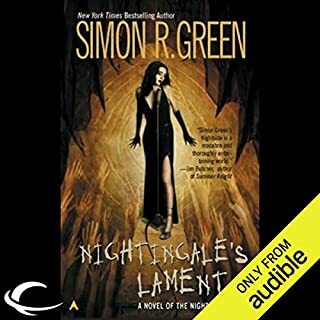 If you want an interesting and engaging listen then skip this (I wish I had) and go to the later Nightside novels. By all means give it a go but I can't recommend it as either a good listen or interesting enough to spend a credit on it. When you look at other urban fiction out there, this particular book is low quality. The name's John Taylor. I'm a PI, though what I really do is find things that are lost. I work the Nightside, the city within the city of London, where the sun never rises and where the human and inhuman go to get their kicks, provided they're willing to pay the price in whatever currency the seller demands. In the wake of the war that almost brought the Nightside to total ruin, there's a power vacuum begging to be filled - and some think I should take charge. I don't agree. Neither does the immortal known as Griffin. Would you try another book written by Simon R. Green or narrated by Marc Vietor? The story was overly simplistic, the main character wooden and incredibly dense when it came to clues and the story line slightly disjointed as it moved staggered from one scene to the other. The Nightside series is supposedly set in a London (Soho) inspired parallel city and yet Vietor's understanding of English pronunciation ranges from the slightly odd to the downright bizarre and in some cases, is not consistent. The plummy bad villain accent Vietor uses for the main protagonist John Taylor means that any other villain or powerful antagonist ends up sounding like a Mary Poppins sidekick. Mild irritation followed by disappointment due to the thinness of plot, characterisation and detail for the environment that John Taylor works in. I wouldn't say this was enough to stop me from purchasing any more from this series but if the next one is as poor as this one then that's it - I will move on to a different author. Identifying the murderer of the Chancellor of the university is not the only challenge facing physician Matthew Bartholomew. 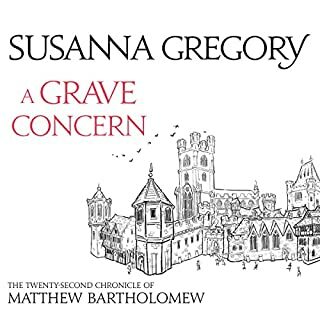 Many of his patients have been made worse by the ministrations of a 'surgeon' recently arrived from Nottingham, his sister is being rooked by the mason she has commissioned to build her husband's tomb and his friend, Brother Michael, has been offered a bishopric which will cause him to leave Cambridge. What would have made A Grave Concern better? 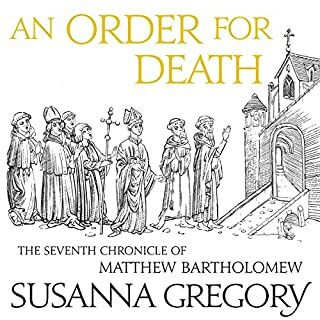 A return to the witty, interesting, vivid and engaging writing that S Gregory has previously shown in her Matthew Bartholomew books. 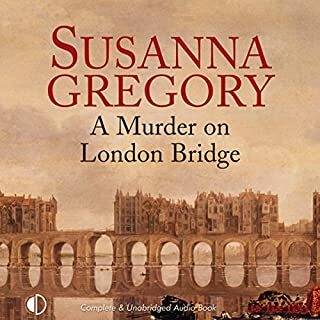 I have read/listened to other S Gregory books and this one just doesn't match up to the usual strong story line and interesting details that her other books have maintained. The relationship between the two main protagonists Matthew and Michael are dull, repetitious and even the usual characters like William, Edith and the delightful Clispby seem routine and formulaic. Out of all the narrators David Thorpe has been the best and for once my complaint is not with the narrator but with the writing. Unfortunately, having listened to the whole book I am returning it, the first time ever for a S Gregory book. Redeeming qualities? The last part of the book became more interesting but I just didn't care what happened to the characters I normally love and invest time and effort. I am hoping this is just a blip in the work of an author that so far has been consistently refreshing to read.